Ever wondered why our skin become insane with oil production and break our dreams to look flawless on many occasions? You might be making any of these mistakes that are stimulating your sebaceous glands. I have also made this mistake for more than 3 years thinking that stripping face washes keeps my skin oil free. We love the facial cleansers that strip all the oil from our face and leave our skin looking fresh. But our skin produces even more sebum if we suddenly strip our skin with harsh cleansers. So you never ever use stripping cleansers if you want to balance the oil production. Always use face washes that are free from Sulphates (SLS AND SLES). Powdered cleansers aka cleansing grains helps to cleanse your skin without stripping the moisture. Take 1 spoon of powdered oats in a bowl to this add a pinch of turmeric or neem powder if you have acne prone skin. Add a little bit of honey to make a paste. Use this as a cleanser. This cleanser helps to remove dirt and excess sebum without being harsh on your skin. 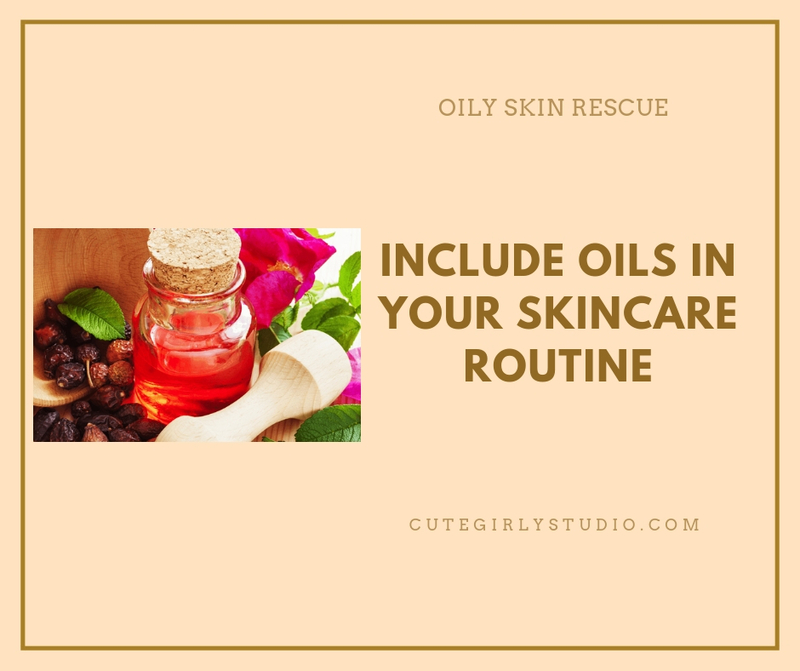 Oily skinned beauties try to stay away from facial oils thinking that these oils make their skin even oilier and might clog their pores. But in reality, facial oil when used correctly will help to balance the oil production. Facial oils are skin care trend these days and there are tons of options out there in the market. It is important to choose the right type of facial oils if you have oily skin. Oily skin lacks linoleic acid so it is important to use oils that are rich in linoleic acid in order to balance the oil production. The following are some of the oils that suit oily skin. Take 30ml of watermelon seed oil in a amber glass bottle. To this add 2 drops of geranium essential oil. Mix it well and use this as a facial oil. Watermelon seed oil gets absorbed into the skin rapidly and moisturises the skin while geranium essential oil balances oil production. Spray some hydrosol all over your face. Take 3 to 4 drops of the oil between your palm and pat it all over your damp facial skin. We are what we eat so it’s important to keep an eye on our diet. 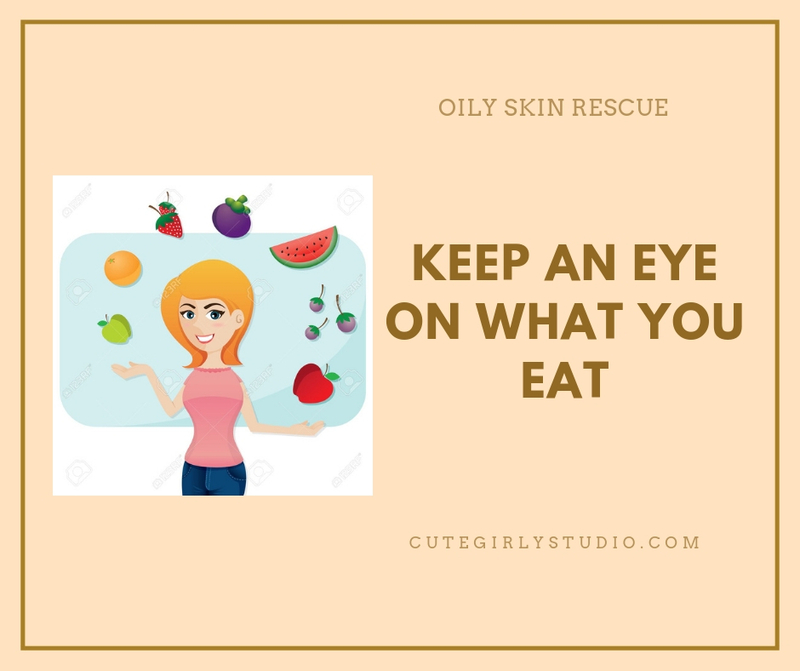 Eating oily and processed foods on a regular basis will ruin your skin and health in a long run. In order to maintain good skin it’s important to eat healthy. Fruits that are rich in Vitamin c.
Eating antioxidant rich fruits like blueberries. Eating soaked almonds every day. Increase consumption of fiber rich foods like oats, almonds, chia seeds, unflavored popcorns, avocado, lentils. Bring 1 cup water and a pinch of salt (if desired) to a boil in a small saucepan. Stir in 1/2 cup oats and reduce heat to medium; cook for 1 minute. Remove from the heat, cover and let stand for 2 to 3 minutes. Transfer this to a bowl and add few soaked almonds, a pinch of cinnamon powder, required amount of cane sugar(skip white sugar) and chia seeds. Top it up with mashed avocado or sliced banana. This is just a rough idea, you can add your favorite fruits, nuts, and seeds as well. Consuming these will keep your tummy happy and it reflects on your skin. Oily skin tends to accumulate dirt and grime easily and it needs to be deep cleansed to keep acne at bay. Cleansing oils break down makeup, excess sebum dirt and grime and deep cleanse the pores. There are several cleansing oils and cleansing balms in the market. You can choose one that suits your skin or else make your very own oil cleanser. 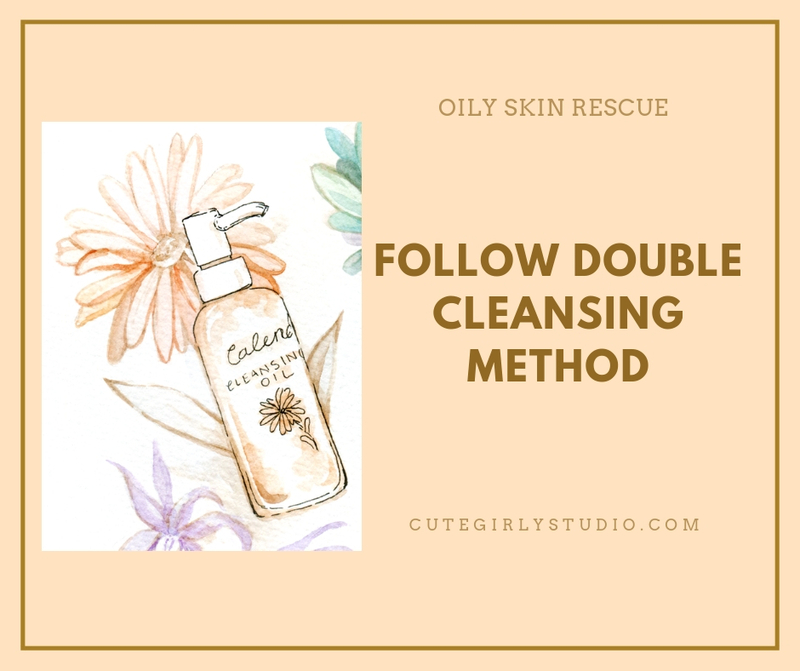 You can follow the double cleanse method everyday or else atleast on alternate days. You can use the facial oil mentioned above as cleansing oil as well. Take a few drops of the oil and massage it all over your face and neck. Now dip a face towel in lukewarm water and place this towel on your face. Leave it for a few seconds and then wipe away the oil with the towel. Repeat if your skin feels oily. Follow it up with a hydrating cleanser. Don’t use an extremely hot towel to steam your face. Be gentle while wiping away the oil using the towel. Don’t use comedogenic oils like olive oil, coconut oil. Wash your face towels everyday. Clay masks are a boon for oily skin. It helps to rejuvenate the skin while removing excess sebum. 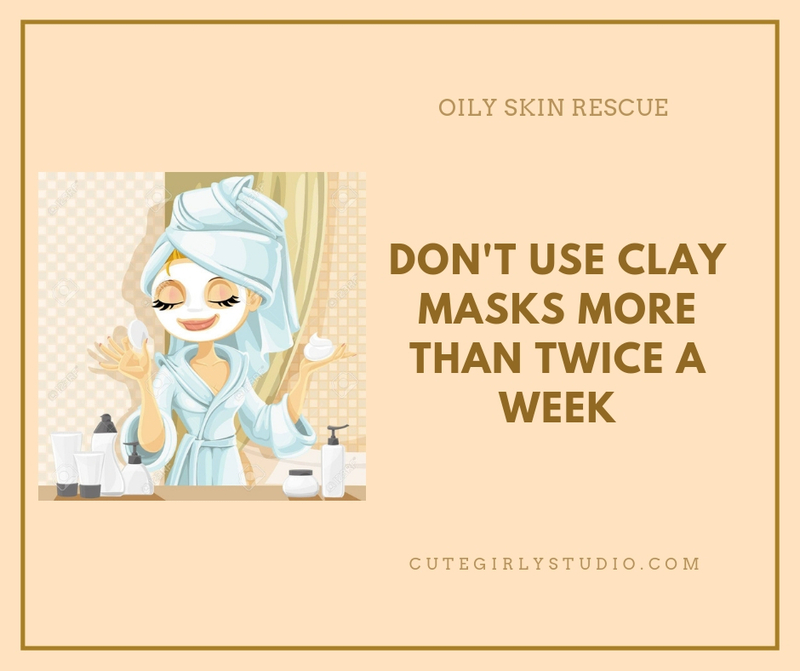 But when clay masks are used on a daily basis or on alternate days it tends to dry out the skin which stimulates the production of sebum and it might also dehydrate the skin. So it is advisable to use clay masks only once or twice a week. You can use oats based face masks on a daily basis. Just mix lavender buds with powdered oats as a face mask to soothe the skin. You can use the pulp of fruits like cucumber, banana, and papaya as a face mask. You can use this daily to rejuvenate the skin. So these are some of the mistakes that oily skinned beauties tend to make. 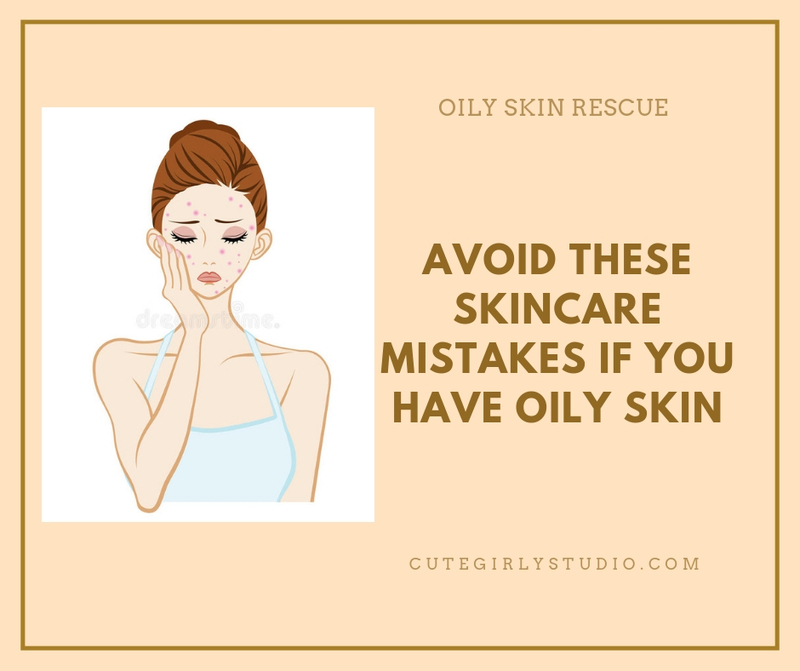 You can help your oily face up to a great extent by avoiding these oily skincare mistakes, all you need is to get your hand on the right product that works for your skin. I hope that soon you all will throw your extra oil blotting sheets to garbage. Don’t forget to subscribe to the blog. Follow me on Instagram | Facebook | Pinterest.